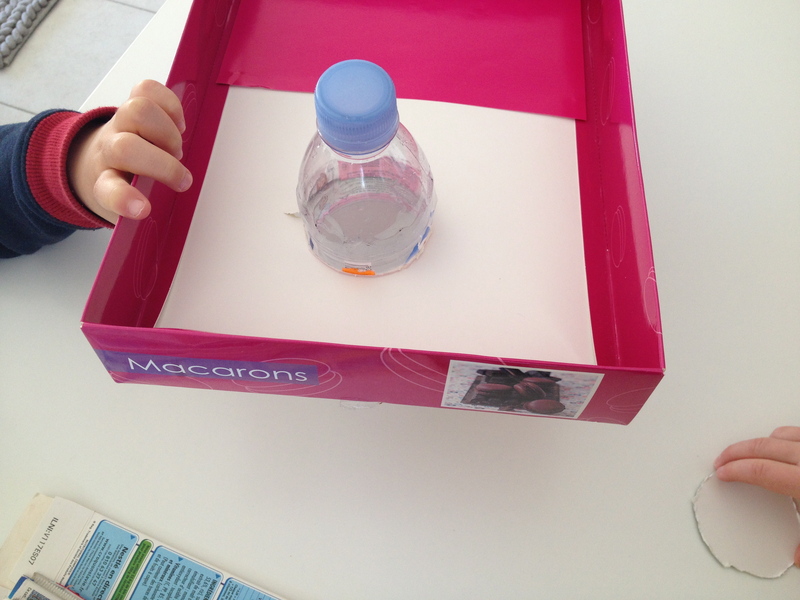 Flip you box over and trace your bottle onto it. 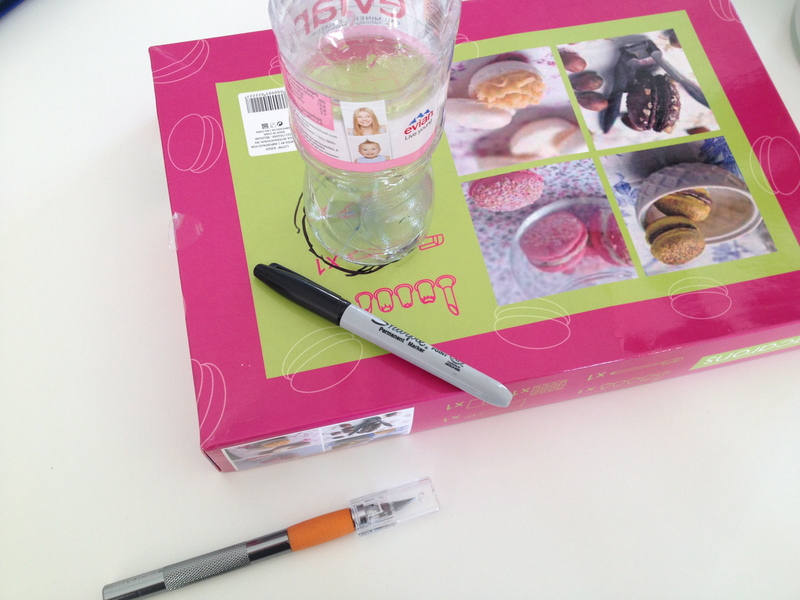 Pass your bottle through the hole to make sure that it’s large enough. 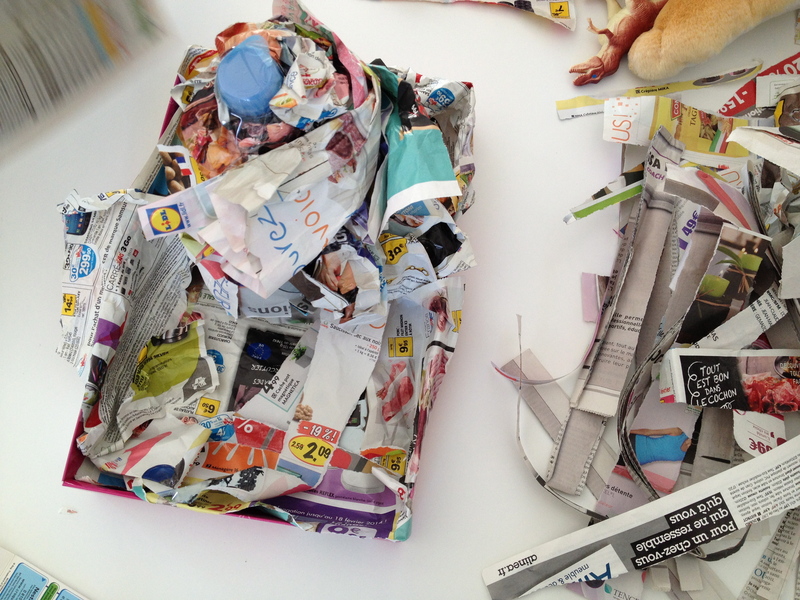 Cover the bottle with a plastic bag so that it doesn’t stick to the paper mache. 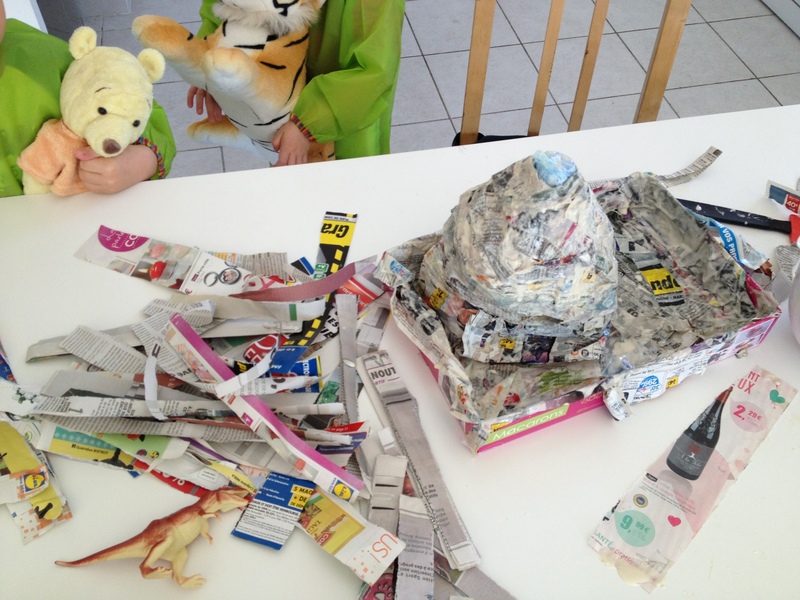 Shape your volcano with bunched up paper (newspaper or magazines will do) and use tape to keep the paper in place. 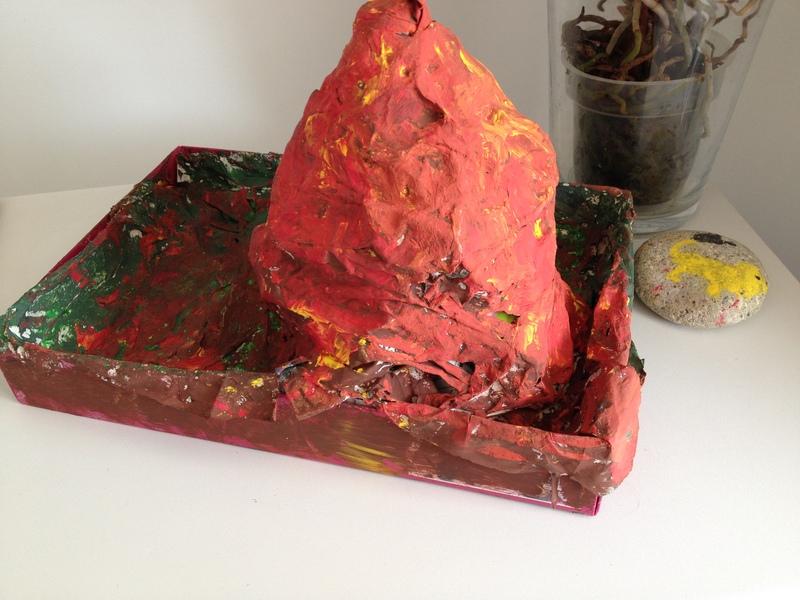 Once you have the volcano shape that you want, dip strips of paper into your homemade glue and cover up your volcano and its surrounding area. Allow your volcano to completely dry in the sun if possible. 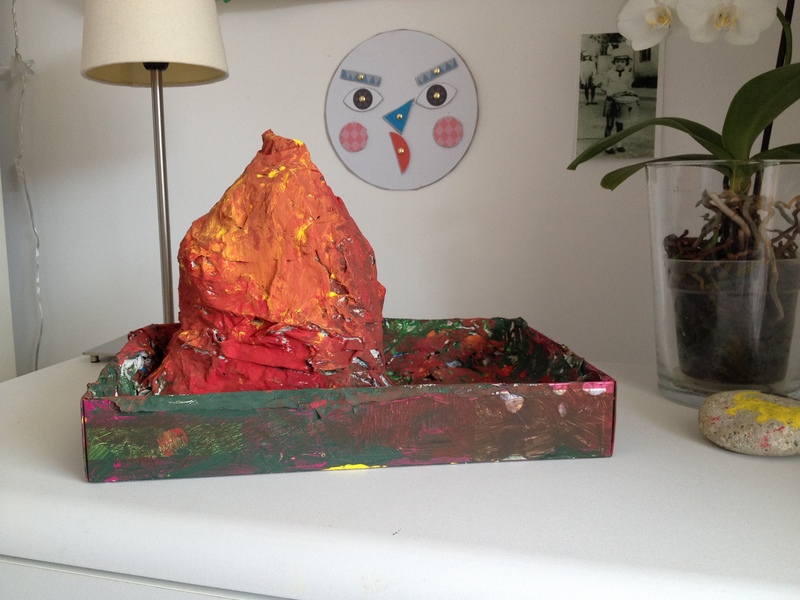 Here’s Gobo standing proudly next to his dried volcano. 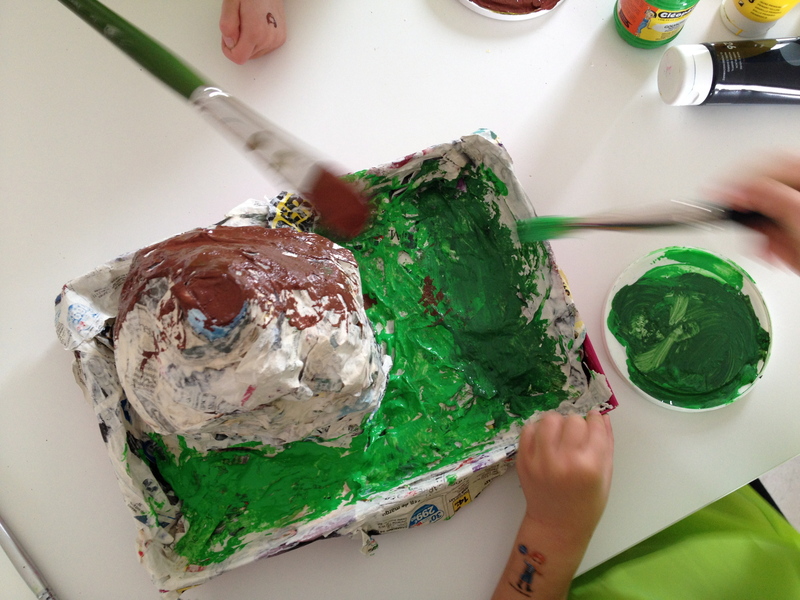 Paint your volcano in greens and browns first. Add your red, yellows and oranges last. Afin de faire votre colle, versez un verre de farine dans un bol et ajouter l’eau lentement jusqu’à ce que vous obteniez la consistance d’une pâte à crêpes plutôt épaisse. 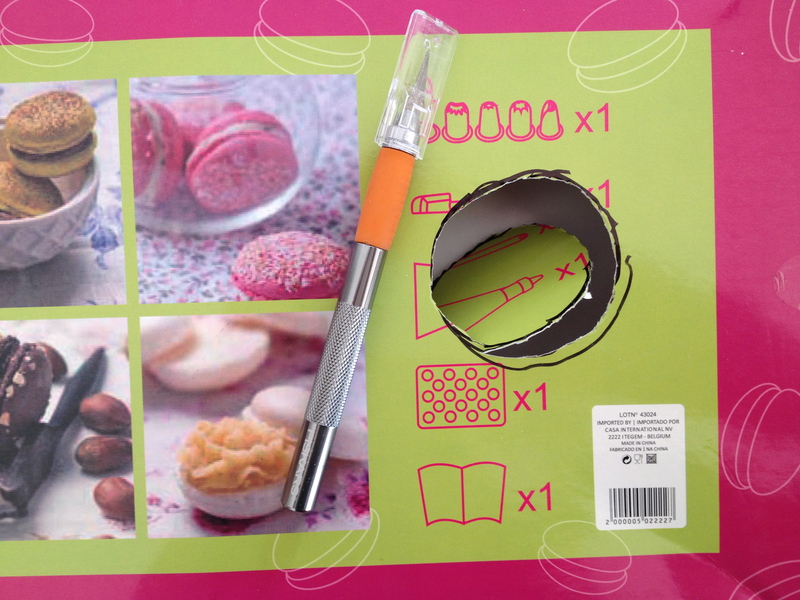 Utilisez le fouet pour enlever les grumeaux de colle et vous êtes prêt à commencer. 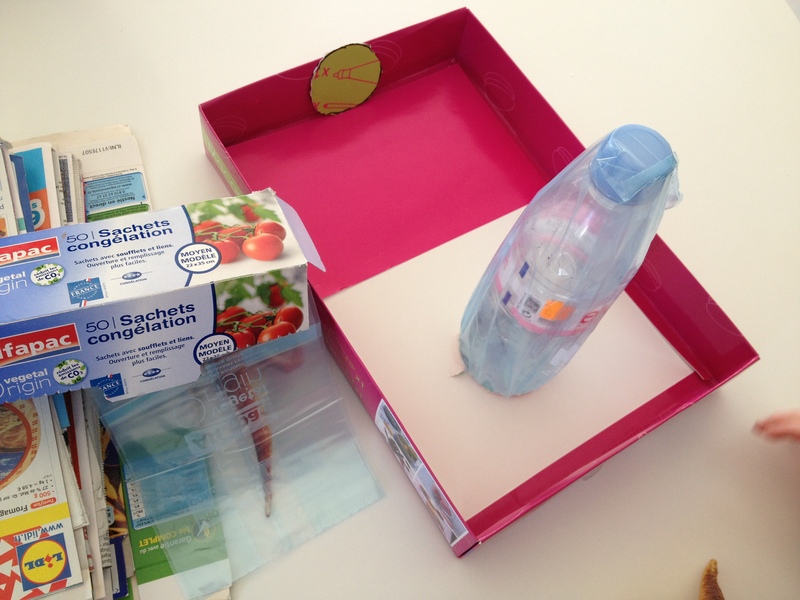 Trempez une bande de papier dans la colle et enlever le surplus avec vos doigts, puis couvrez votre volcan. Bonne journée et n’oubliez pas, Just Speak! In order to make your “glue”, pour about a cup of flour into a bowl and slowly add water until you get the consistency of pancake batter. 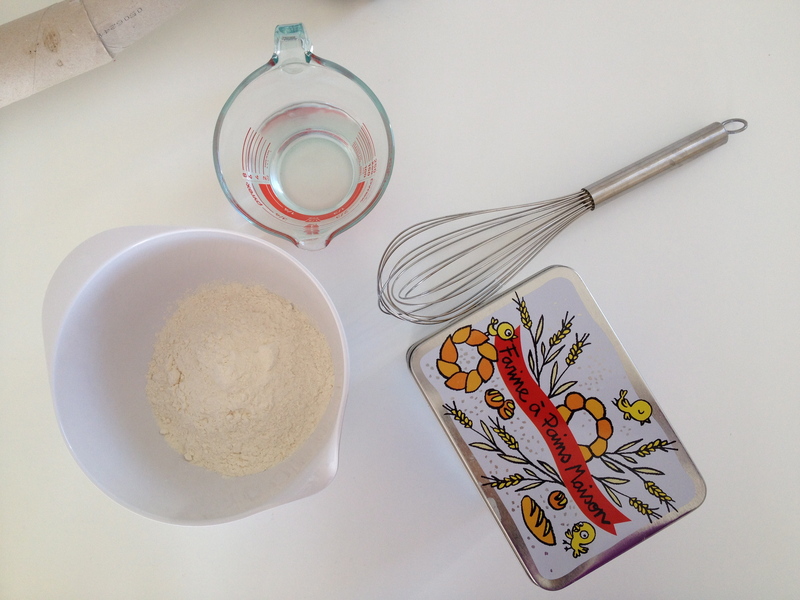 Next, use the whisk to take the lumps out of your glue and then you are ready to begin. 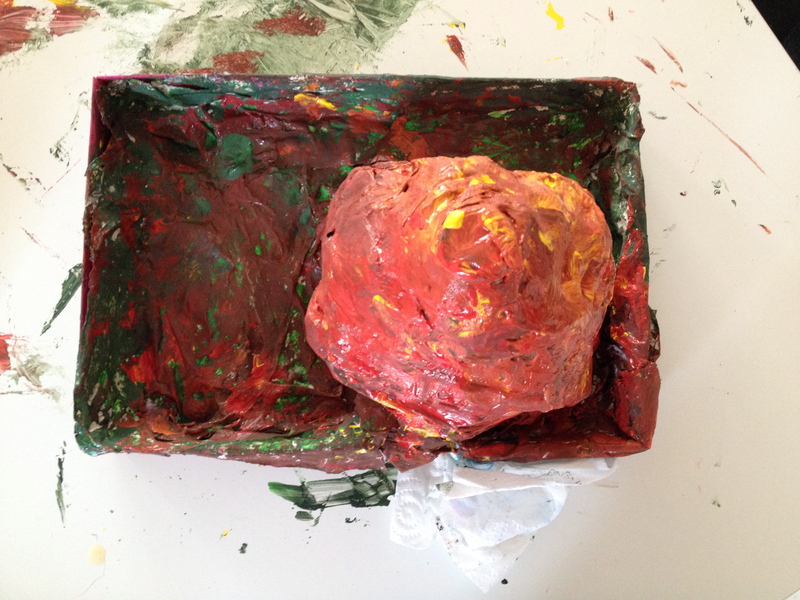 For the last part, simply dip a strip of paper into the glue and take off the excess with your fingers, then start covering your volcano. Have a great day and remember, Just Speak! 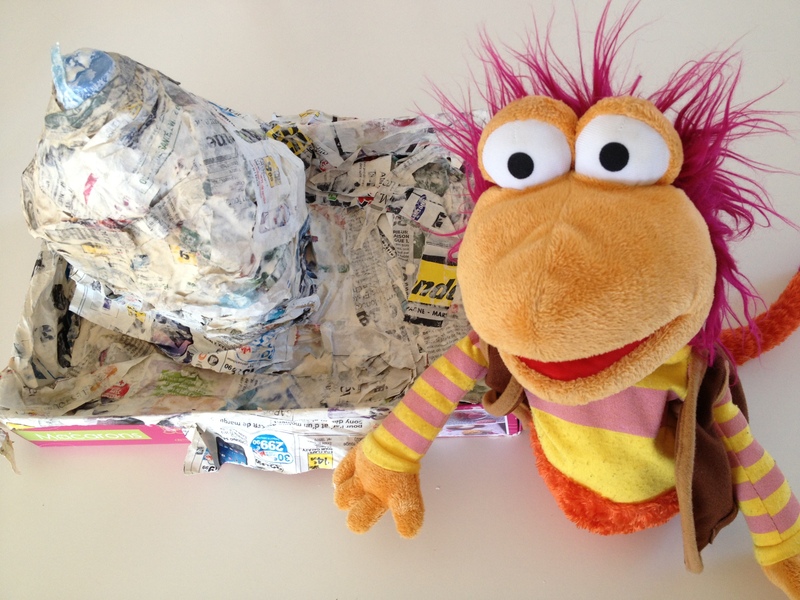 This entry was posted in Anglais, Anglais pour les petits, crafts for kids, dinosaurs - des dinosaures, DIY, ESL, La Ciotat, paper mâché, volcanos and tagged Activités pour les enfants, Anglais, Anglais pour les petits, apprendre l'anglais, art for kids, chante en Anglais, crafts for kids, dinosaur activity for kids, DIY, English language, foreign language, France, La Ciotat, la maternelle, Learn and Play en Anglais, learn play anglais, les dinosaures, les enfants d'âge préscolaire, paper mache, paper mache volcano, Provence. Bookmark the permalink.